When searching for anything on Google, Bing, Yahoo, etc. the chance of someone clicking “next page” for more results is slim to none. Every avid Internet user knows that the links closer to the top of the first page are the ones people consistently open. Usually they’ll go down the list on the first page until finding what they need. I personally even know people who will enter an entire new search keyword before clicking next page! 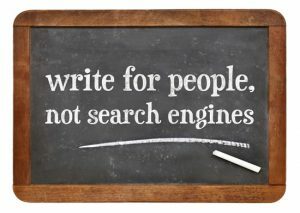 That’s where SEO (search engine optimization) comes in. SEO is essentially exactly as the name sounds, it’s a process carried out in order to positively affect the ranking of a webpage on any given search engine. Since sites like Google and Bing follow intense algorithms, SEO masters need to follow certain tips in order to convince search engines that their website is worthy of the infamous first page rankings, or even the number 1 result. For anyone who wants to create an online presence, and a successful one at that, SEO is of utmost importance. The hardest part is always starting, so here is a list of the best SEO tips for beginners in 2017. In the past, writers could mill out articles stuffed with keywords that really didn’t make much sense. The algorithms weren’t so advanced that surprisingly, this worked. However, in order to protect their reputation, sites like Google and Bing realized they needed to seed out the junk. Now with complex formulas that comb through every article, the content truly does matter and search engines are harshly objective. New and creative content with a reasonable keyword density is what you want to aim for. Obviously, this content needs to be completely original and it should make the reader actually want to get to the end. The reoccurring theme through this post might as well be: write a post for the reader, not for the search engines. While you do want to place a keyword into the webpage a few times, try to mainly focus on writing about it rather than merely stuffing it into sentences awkwardly. The same advice goes into the length of the post. Don’t worry too much about it, just make sure to stick to your topic and say everything you need/want to. Surprise! Your English skills actually do matter as well. Grammar and spelling are huge on assessing the validity of a site, so please… just proofread it a few times. It will save you a ton of hassle in the long run. High quality content is arguably one of the best SEO tips out there. This notion has never changed; writers always want a title to catch a reader’s attention. If it does the chances are that people are going to click on it more, which leads to higher-ranking results. Search engines also favor descriptive titles as they help to support their results page. When writing a title, keep in mind that it needs to be brief and to the point. If it’s too long it might trail off on the search results page leaving people (and search engines) in wonder regarding what the post is truly about. Make sure it fits entirely on the results page and accurately explains the content of what’s inside. In order to make sure that your webpage is completely optimized for SEO, you need to pay attention to formatting. You can use HTML formatting to help draw the user’s attention to certain parts of your post. Utilize underlines, bolding, italics, and most importantly H1 and H2 tags. An H1 tag is of utmost importance because it tells the search engines, and the reader, exactly what your page is about. Make sure to only have a single H1 tag though, because if you have more than one you could confuse everyone. Use H12 tags as well as short paragraphs mixed with basic formatting to make your page easy to read and even easier to follow. One of the best SEO tips involves the importance of links. SEO is about increasing the number of people who visit your site’s links. In order for this to be easily found, easily shared, and easily remembered make sure that your permanent website link is clean and concise. You could use a keyword, but make sure you completely avoid “overstuffing” them into your link. The most important aspect is that it’s clean and straight to the point. Instead of using random numbers, underscores, or other characters (www.google.com/h?7!jlia_f92?) use words separated by hyphens (www.google.com/contact-us). Using internal links is also a great SEO tip for beginners. These links are inserted into your web page and tagged with a keyword that would direct a user to another page on your website. This will encourage readers to spend more time on your page and explore everything you have to offer. Connect them with related blog posts or FAQ pages, the more times they visit one of your links the better. You could also connect readers with related external posts using hyperlinked keywords. When doing this just ensure that the related posts are actually useful rather than just stuffed into your page. Always remember to focus on the user, not the search engines. I recommend not exceeding 4-5 links in a post depending on the length and make sure that none of these links are broken. This can be a huge deterrent for both engines and users. Technicalities are important with SEO and you will need to learn the lingo. One of the best SEO tips for beginners is to study the vocabulary as well as basic HTML. Meta tags are among that group and are basically just a tag written in code that helps to define the content. It tells the code what to display for the description of the page. This gives the readers and search engines a solid summary of what your post is about. It is often displayed on search result pages underneath the title, so you want to keep it on the smaller end in order for it to be fully viewable. Use this to try to convince the reader that your link is worth clicking on. As a note, avoid meta keywords because they have become outdated and may actually do more harm than good. An image alt tag is also helpful to increase traffic by describing your images to search engines. Use descriptive tags (seo-computer.jpg) rather than ambiguous letters/numbers (image1.jpg) to help out the engines. Watch your image size and quality though because, as we will find out, speed matters. Every Internet user knows that faster is always better. If your page’s speed is too low, chances are people might leave before any content even loads. Even search engines take this into consideration. Keep an eye on your image size and don’t go too crazy with added plug-ins. Make sure to test your site and if necessary, get recommendations from free services offered online. A great resource is Google Page Speed Service. Beginners in 2017 have an advantage… they know how many people use their mobile devices to browse the Internet because they are included among that group. Almost half of website’s visited are on mobile devices so you need to make sure that your web page is accessible across an array of technology. Think Android, iPhone, iPad, desktops, Kindle Fire, etc. 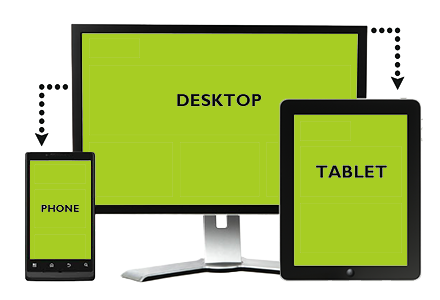 Consider turning your site into an app or make sure that content display changes according to screen size and device. This will allow more traffic on your site thus increasing your ranking. 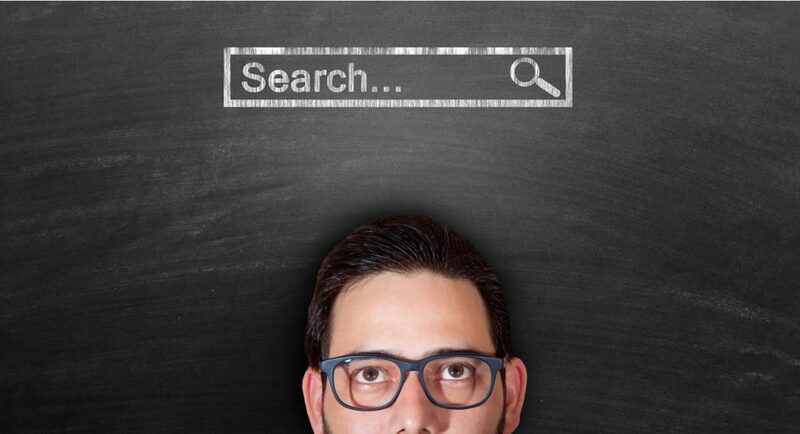 While this isn’t a comprehensive list, it’s a great place for SEO beginners to start. SEO is always changing and evolving, so it’s extremely important to stay up to date. Research and reading are your new best friends. Learn as much as you can and stay ahead of the competition. As you move along with these tips you can always take it to the next level. Research some off-page SEO strategies and always be persistent. As with everything, learning SEO takes time but if you continue to work at it you will be successful and see results. Just remember, never build a website solely for a search engine. Always put the reader first and the results will follow. Really it’s a good collection of seo tips for beginners…it’s very helpful for newbies in SEO industry and Thank you So Much for sharing great piece of content in public!